Email marketing is one of the best performing marketing channels online. According to the DMA, for every dollar spent on email marketing, you can expect a return on investment of $43. But it's not as simple as sending an email to a list to get this sort of result. You will first want to evaluate the quality of your list before you hit that send button. 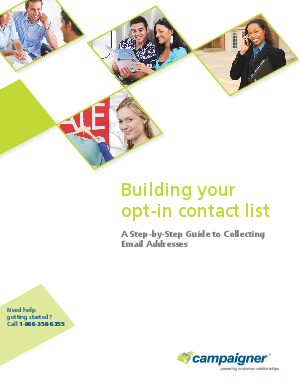 Download this free step-by-step guide for pointers on building a high performance email list that works.